kaleigh is using Smore newsletters to spread the word online. 5. 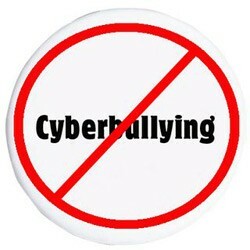 Be a good online citizen and not do anything that hurts other people or is against the law. 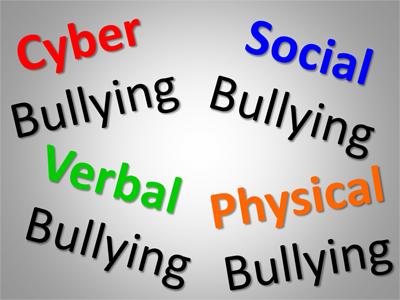 1.There are three described forms of bullying: physical, verbal, and social. Male bullying more commonly consists of verbal and physical abuse, whereas female bullying more commonly involves more verbal abuse and social bullying by spreading of rumors. 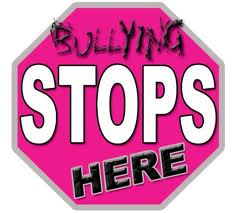 2.Roughly 80% of students who experienced bullying in 2007 reported it occurring inside the school grounds. 3.A study published by the National School Board Administration reports that only 33.1% of the middle and high school students surveyed agree or strongly agrees that teachers can stop bullying. This means that 2/3 of these students are not confident that they can get help from their teachers.